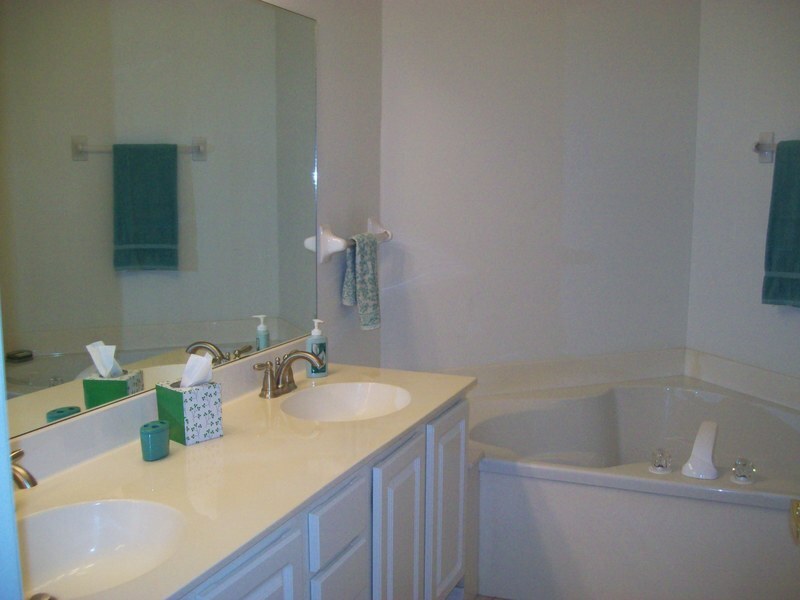 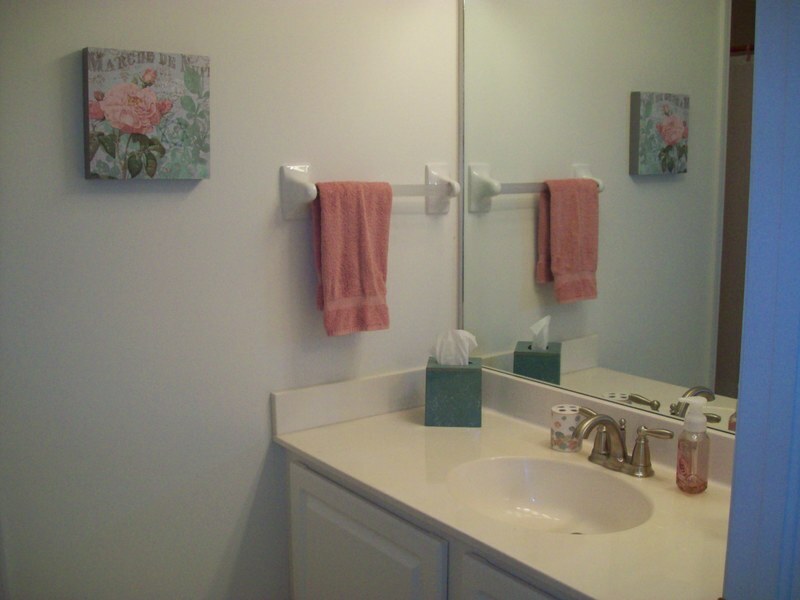 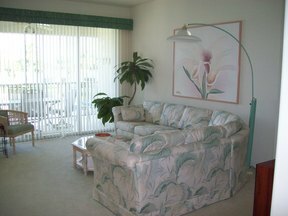 Spacious 2nd floor end unit with attached 2 car garage. 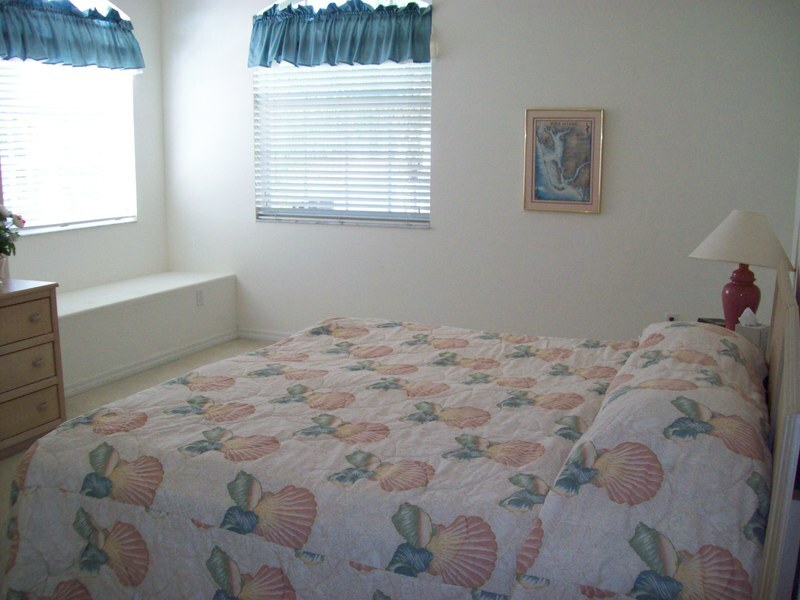 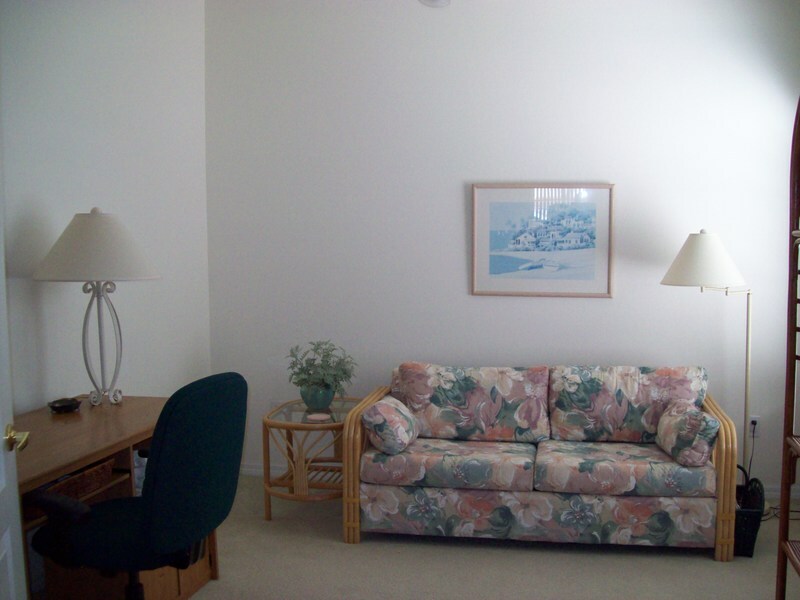 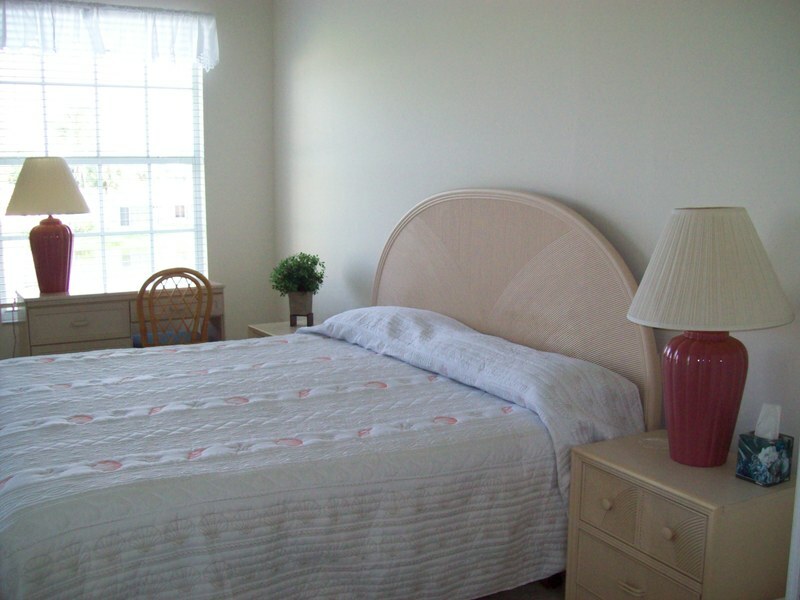 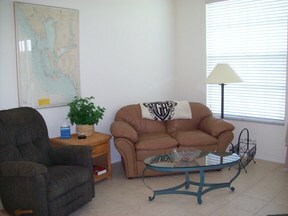 This condo features plenty of sleeping area with a king size bed in master and guest bedroom and sleeper sofa in den. 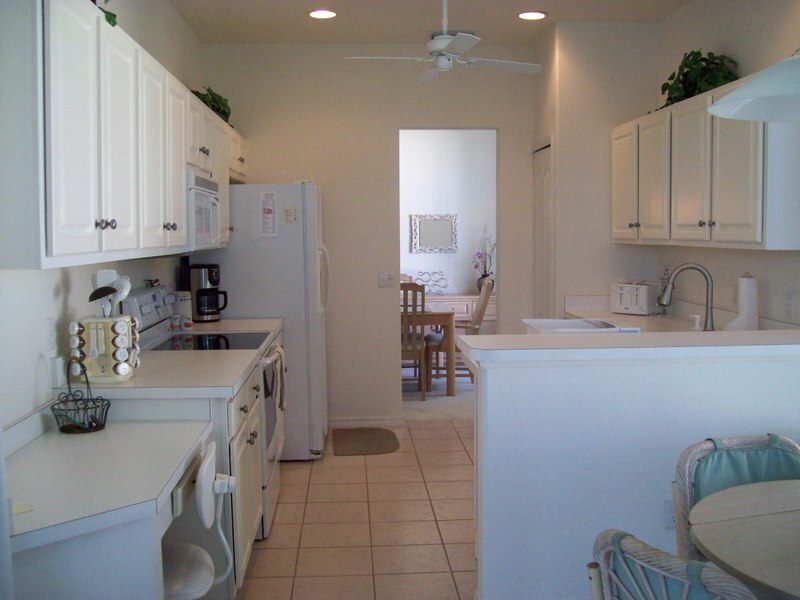 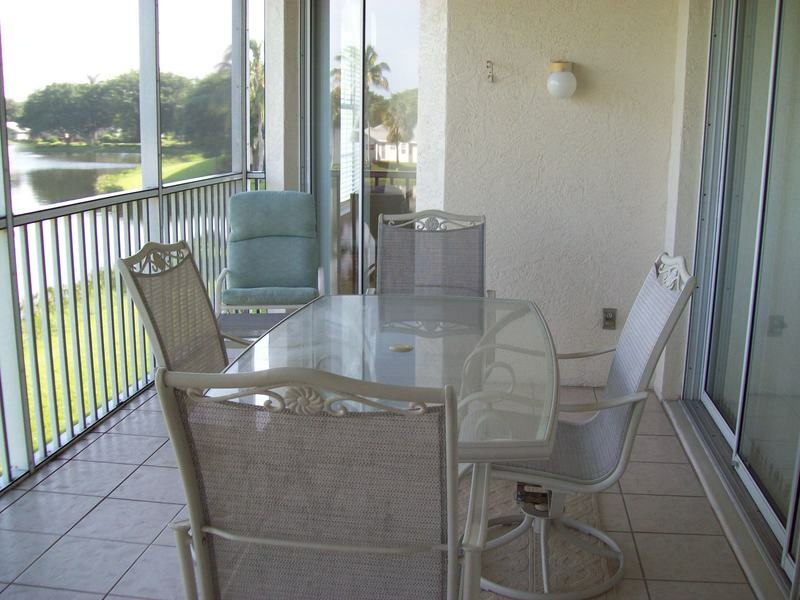 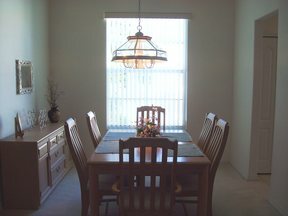 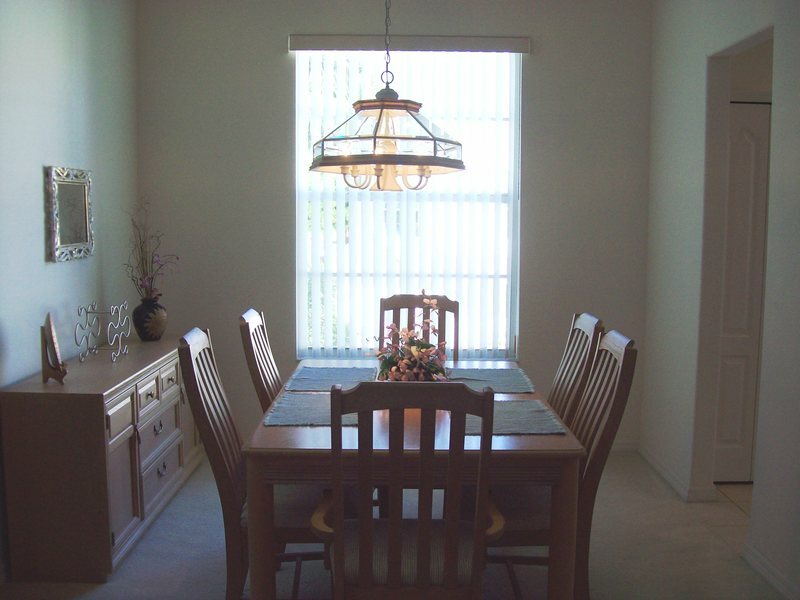 Separate formal dining and eat in kitchen area. 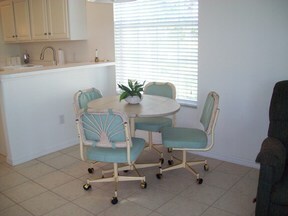 Sitting area off of kitchen. Jack and Jill guest bathroom. 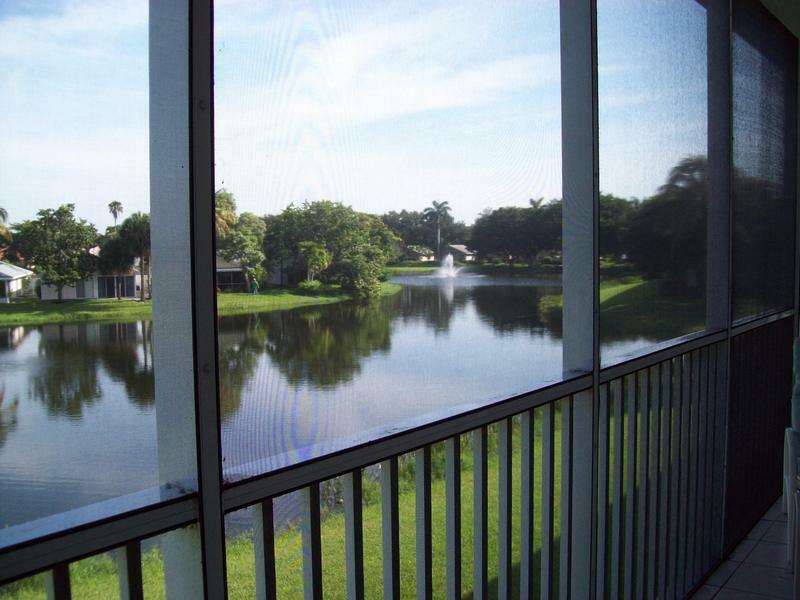 Beautiful lake view and golf course view from lanai. 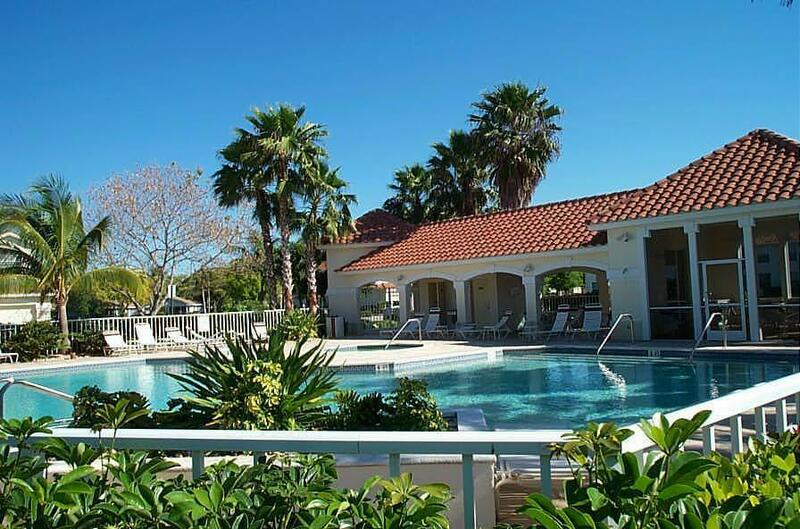 Across the street from community pool. Sorry, no pets per community HOA rules.